With ‘Maa’, his debut album for Disco Gecko, LO18 has crafted a mystical musical marriage between the mechanical and natural worlds. Finding inspiration in singular sounds, whether from the environment or an instrument, Lounela combines his love of non-rhythmic ambience and slow, tiny movements with that of groovy rhythms and simple pop hooks. The result is a refreshing collection of tracks, which flow from melancholy to melody and back again, with plenty of unique flourishes along the way. 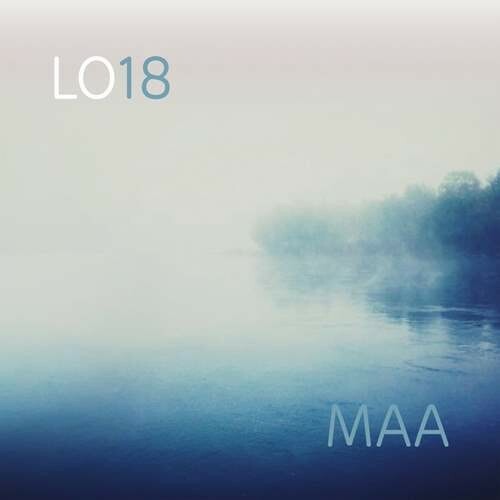 LO18 is musician and studio engineer Kari Lounela, who lives in Tampere, Finland. As a member of UULU, a cultural cooperative of ethnomusicologists, he is involved in promoting Finnish folk music traditions, as well as music cultures from around the world, with the help of original instruments, songs, dances and games. In his own time, Lounela has worked with Finnish acts Piski, Puk, Pena and Cucumber Farmer, providing guitars, composition or producing. His debut EP ‘Huima’ had a focus on Finland’s mystical history, and with ‘Maa’ he explores other themes that interest him. For example, his vehicle trilogy (Oranssi, Punainen, Sininen) features the sounds of the night train through Finland, the buses of Kari’s hometown Tampere and fragments of the ferry to Sweden. Equally unusual is that eight of the tracks share their titles with the names of Finnish athletics, basketball and ice hockey teams. This is because back in the day it was deemed important to gain sporting strength from the spirits and other mystic elements of the earth (‘Maa’ in Finnish), and as a result the names of many sport clubs relate to forces of nature. On standout track ‘Kellisti’, double bass from Ville Rauhala plus rich patterns of bells, pianos and mandolins create an almost wintery picture of falling snowflakes, which fade into abstraction, only to return at the end slightly altered. The melancholic, calming and comforting ‘Kataja’ also features double bass by Ville Rauhala, with Juppo Paavola on drums.